S. pneumoniae from CSF. Both tests can be negative if antibiotics were given before CSF was obtained. A new immunochromatographic antigen detection test is a promising rapid method. Several studies using a variety of assays have evaluated PCR as an alternative method for rapidly diagnosing pneumococcal meningitis/17-22-1 including as part of assays designed to detect multiple bacterial pathogens. [17,20,21] These preliminary studies show that PCR is at least as sensitive as culture, and PCR may be particularly useful in Gram stain- and culture-negative cases. As yet, a standardized PCR assay has yet to be developed. Furthermore, no direct comparisons have been made between PCR and the immuno-chromatographic antigen detection assay for rapidly diagnosing pneumococcal meningitis. PCR has been used to improve the sensitivity of detection of pneumococcal middle ear infections. When testing middle ear fluid from patients with otitis media with effusion, almost all culture-positive samples are PCR-positive, and many other samples are culture-negative and PCR-positive. This almost certainly reflects the greater sensitivity of PCR over culture. The genetic basis of resistance in S. pneumoniae to major antibiotics has been well documented. Resistance to p-lactams occurs when PBPs are altered through the acquisition of chromosomal DNA from other pneumo-cocci or from other streptococcal species (especially S. mitis). Pneumococcal resistance to macrolides occurs by either target site modification through methylation or by active drug efflux. 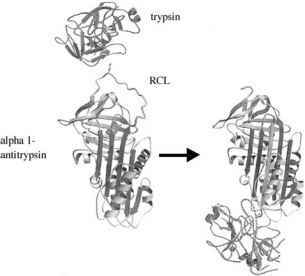 Tetracycline resistance is mainly attributable to the production of cytoplasmic proteins capable of interacting with the ribosome and making it insensitive to tetracycline inhibition. Resistance to fluoroquinolones is primarily mediated by point mutations in the genes encoding DNA gyrase (gyrA and gyrB) and topoisomerase IV (parC and parE), and less commonly by a drug efflux mechanism. Diagnostic laboratories rely on phenotypic tests to determine the antimicrobial susceptibility profile of bacteria isolated from clinical samples. Increasingly, genetic tests are being used to complement phenotypic tests in the identification of antimicrobial resistance genes or mutations associated with antimicrobial resistance. The main reasons for detecting these genes are for epidemiological purposes and for the rapid identification of resistant strains directly in clinical samples; the former is usually a function of regional reference laboratories, while the latter remains restricted mainly to research laboratories. The detection and monitoring of penicillin resistance in S. pneumoniae has been the principal focus, as this resistance phenotype is of the greatest clinical importance. Detection of alterations in the genes encoding PBPs by PCR can provide information on penicillin resistance at least one day earlier than conventional phenotypic antimicrobial susceptibility testing. [24-27] In addition, the pattern of changes can predict whether penicillin resistance is low-level or high-level as determined by minimal inhibitory concentrations (MICs). As already noted, rapid PCR assays have also been applied to the detection of penicillin-resistant S. pneumoniae directly in CSF samples from a small number of patients with suspected meningitis. A major problem with the development of these PCR assays is the relatively divergent nature of the alterations in the genes encoding PBPs that confer penicillin resistance, particularly in the transpeptidase-encoding region. However, within this divergent region, there are alterations that are common in many penicillin-resistant pneumococcal strains, and these changes are seen in pneumococcal strains from different geographic locations. Further work is needed to determine the best targets for PCR-based diagnostic assays.